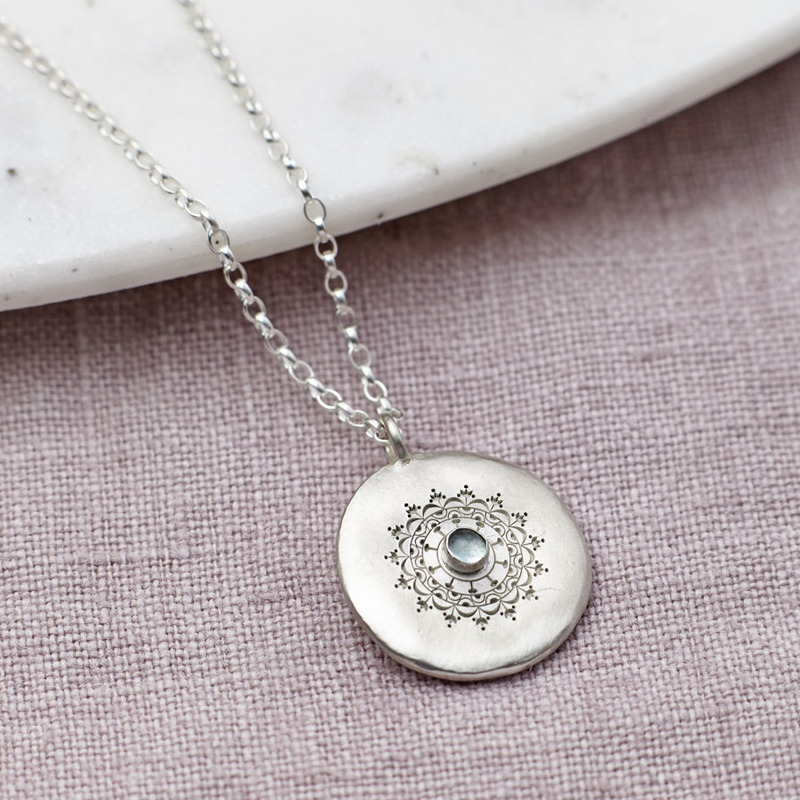 A personalised sterling silver necklace featuring a beautiful mandala design and genuine Aquamarine gemstone. 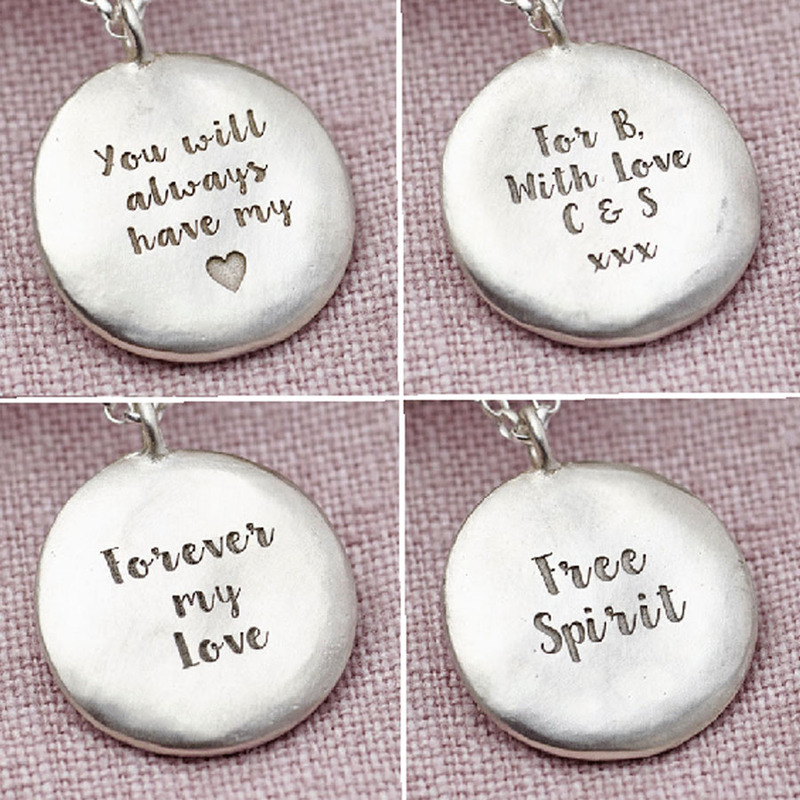 A hidden message can be engraved on the reverse. 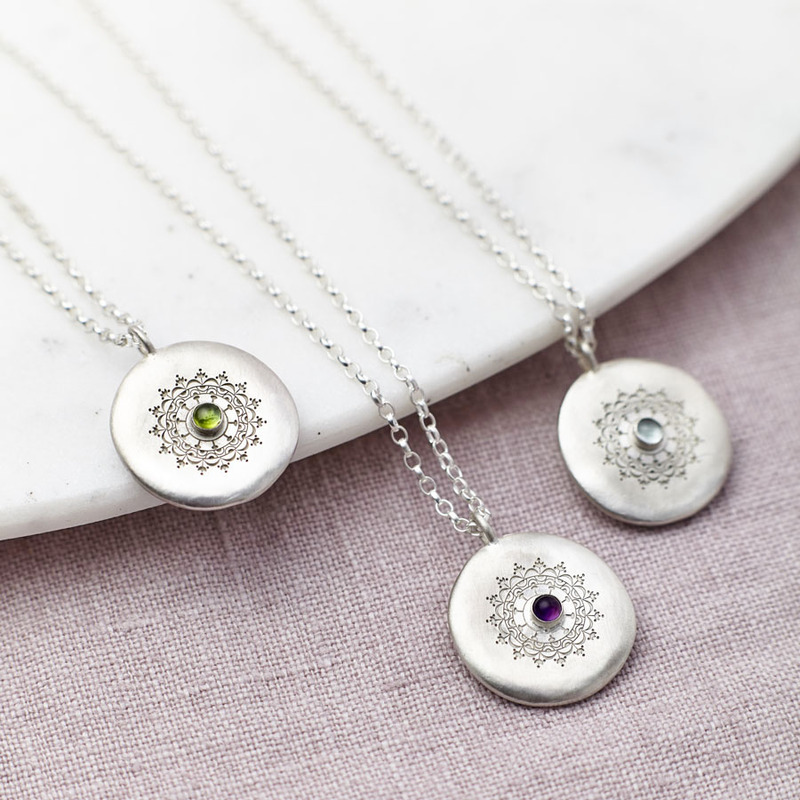 We make these necklaces with several different gem stones, please see our product pages for alternatives. 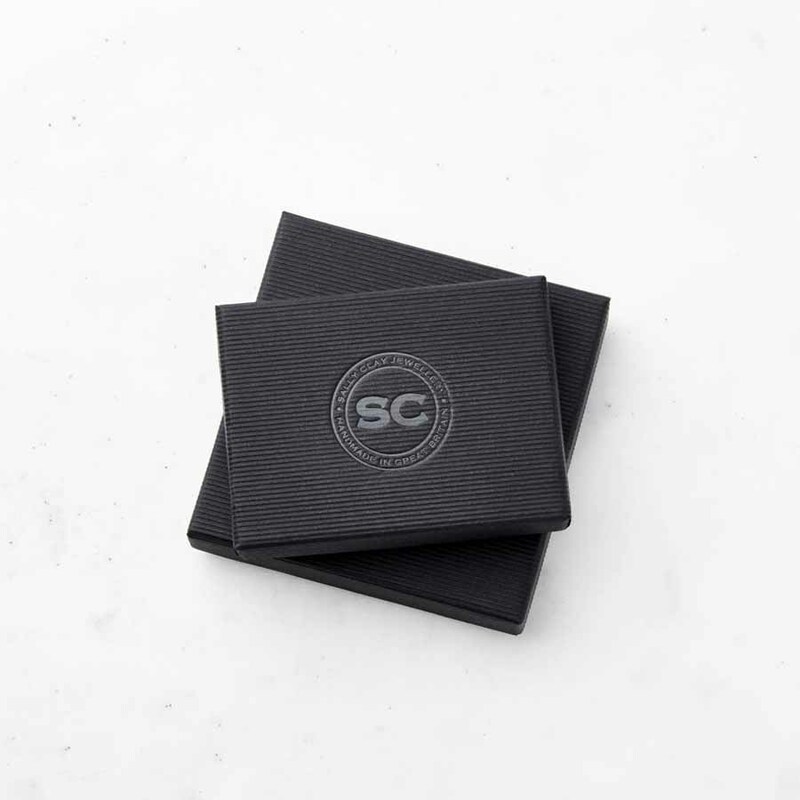 The necklace is presented in a complimentary Sally Clay Jewellery box, tied with a ribbon.